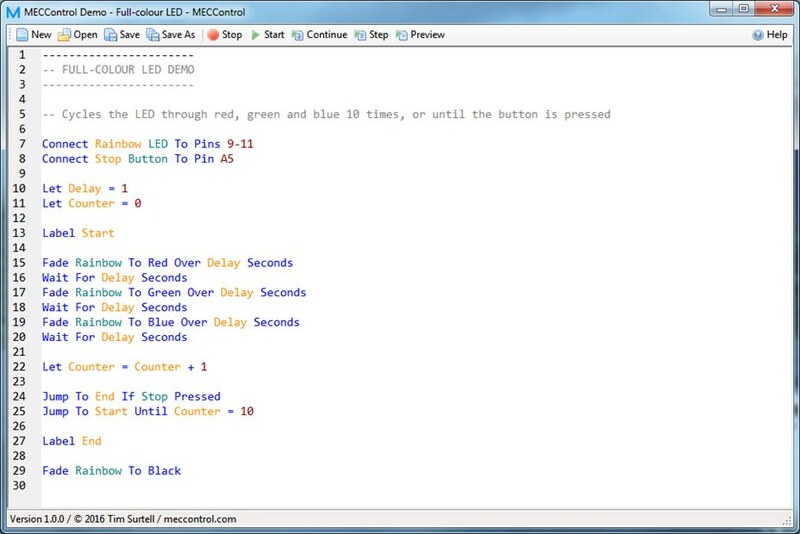 The MECControl software gives you an intuitive language to control Meccanoid devices, DC motors, stepper motors, LEDs, relays, solenoids, potentiometers, buttons and switches connected to your Arduino/Genuino Uno or Mega from your Windows PC. You can find out more about the software in the Help section. An Arduino/Genuino Uno or Mega with the free MECControl firmware installed. Add the software to your shopping basket and then check out. No shipping charge will be applied to your order unless you are purchasing other products from our shop. Once you have successfully paid you will be provided with a link where you can download the software.